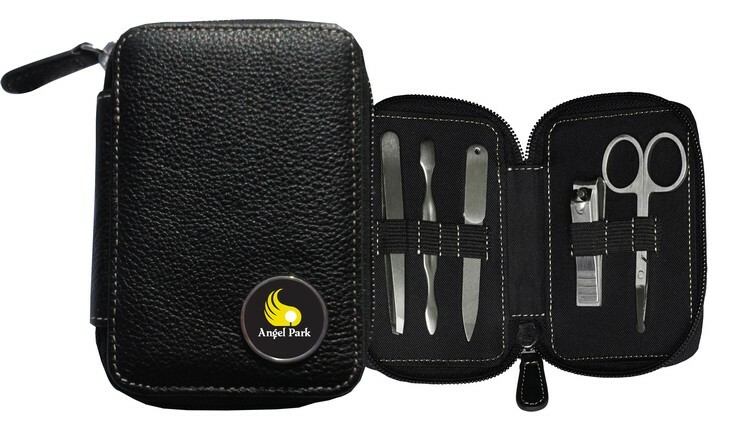 Stylish full leather-wrapped zippered case housing five common manicure implements. Ideal for everyday use at home, office or travel. Full color or etch imprint. 4" x 3.5" x .875"
• Production time: 2 weeks. Allow 3 to 4 weeks for satin etched imprints.